Irene Monroe was interviewd by Julie Compton for NBC News. The article is reprinted below. 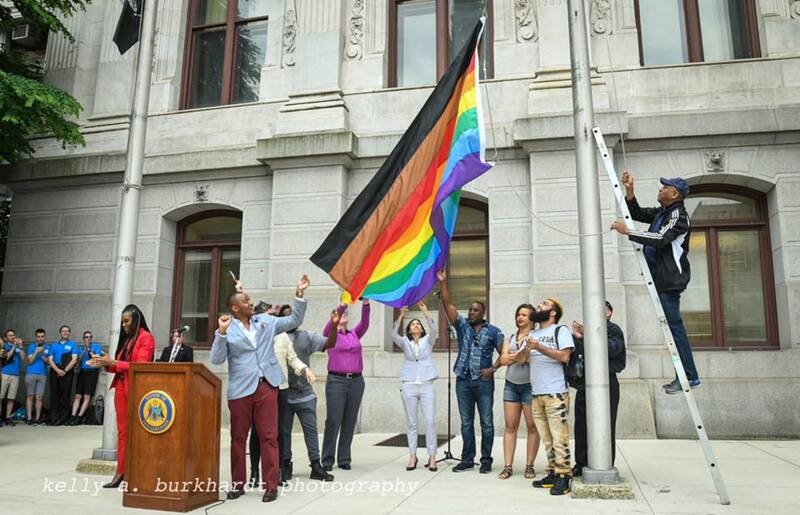 The black and brown stripes on Philadelphia’s new rainbow flag are inspiring hope in some and anger in others. The flag, hoisted outside City Hall during a recent Pride Month event, was created as part of the More Color More Pridecampaign, which aims to make non-white LGBTQ people more visible. 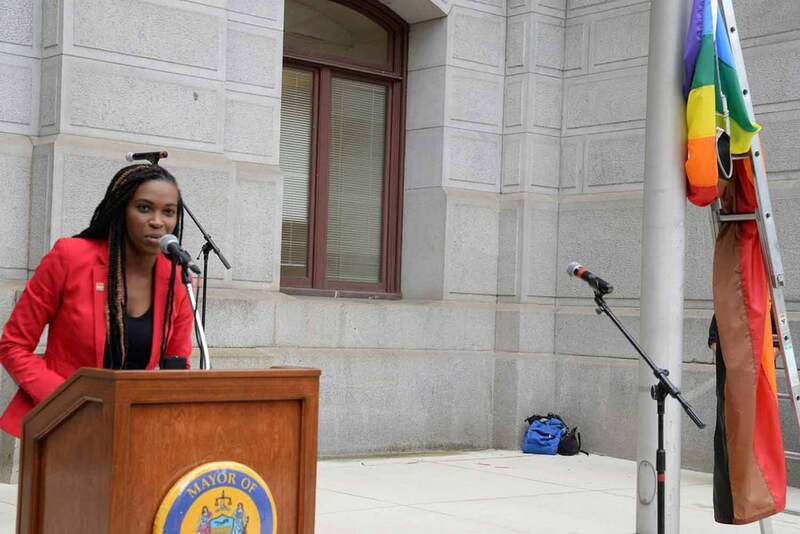 “It’s a push for people to start listening to people of color in our community, start hearing what they’re saying, and really to believe them and to step up and say, ‘What can I do to help eradicate these issues in our community?” said Amber Hikes, the new executive director of Philadelphia’s Office of LGBT Affairs. Hikes, a black queer woman, said the flag is an especially important symbol for Philadelphia. She said the city’s popular gay neighborhood — dubbed the “gayborhood” — has a history of racism. In 2016, social justice groups became furious after a video surfaced showing the owner of a popular gay bar using the N-word. Bars in the neighborhood were also accused of discriminatory-dress code policies. The original rainbow flag was designed in the 1970s by LGBTQ advocate Gilbert Baker, who died in March. Baker’s longtime friend Charley Beal said the Philadelphia flag should be seen as an independent symbol. “I encourage it, and I think people who know Gilbert would,” said Beal, who said Baker was open to adaptations of his flag. But he said friends of the activist were startled to see a Wikipedia page dedicated to Baker’s flag altered to include the Philadelphia version. “The only thing we would ask is that other people would not take it and put Gilbert’s name on it, because they didn’t do it in consultation with him, and he didn’t do it,” Beal added. In an email to NBC Out, a spokeswoman for Philadelphia’s Office of LGBT Affairs stated the new flag represents “additive” inclusion and is not meant to be a replacement or its own distinct version. “The spirit of this flag is not a departure from the original principles, but we hope that adding black and brown to our community’s strongest symbol will serve to recognize the contributions people of color make every day in the LGBTQ+ community,” the spokeswoman stated. Beal said the original flag, which wasn’t patented, was already designed to represent diversity within the full spectrum of sexuality. He said Baker created three versions of the flag, and that Baker intended for all LGBTQ people to feel represented under it. “The stripes were not chosen for skin color — they were chosen to reflect the spectrum of color in nature,” Beal explained. 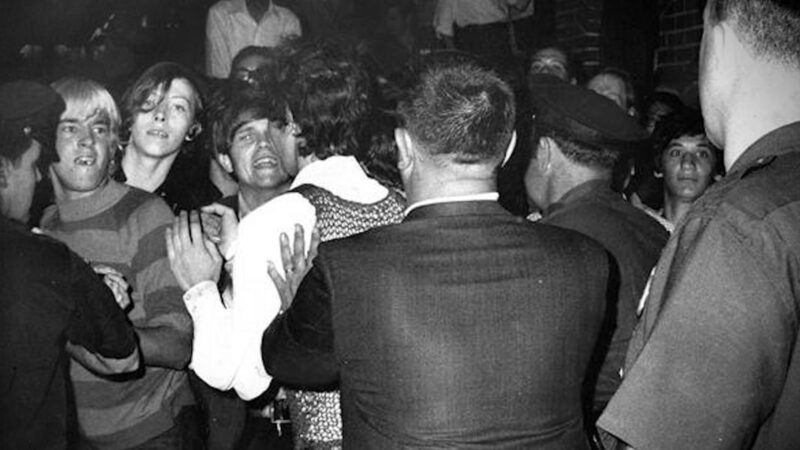 While people of color have fought at the forefront of the battle for LGBTQ rights, there are those who feel they have been cut from the historical narrative. Longtime Black lesbian activist Reverend Irene Monroe, a founder of the civil rights group National Black Justice Coalition, is one of them. White cisgender gay men have historically been in control of national LGBTQ organizations, which has influenced LGBTQ culture, according to Monroe. That has spurred non-whites to create their own organizations and events, she said. In her eyes, the Philadelphia flag is a continuation of that legacy. 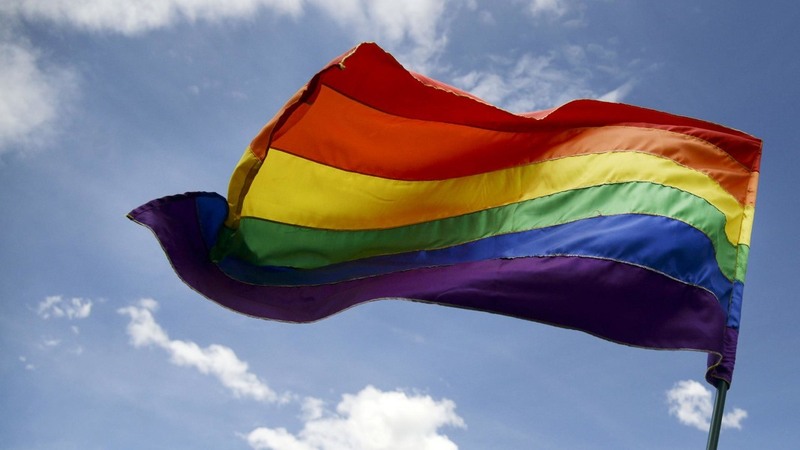 “I think it’s unfortunate that we have to be even more intentional, because the whole idea of the rainbow flag was that it included everybody,” said the activist, who has sat on the advisory boards of several national LGBTQ organizations. She said the Philadelphia flag is a sign that people of color continue to feel excluded. “By putting in those extra colors they’re saying, ‘You’re not doing it,’ and it’s just unfortunate. I mean, I find that pretty sad that it has to now be that intentional, because of years of being tone deaf that the rainbow includes everybody,” she said. Despite the controversy surrounding it, the black and brown flag has grown increasingly popular since its unveiling. Hikes has received requests from LGBTQ groups across the country that want to march with the flag in their Pride events. But her office has also received many angry responses — mostly from white gay men — who feel the black and brown stripes are unnecessary, she said. “If [the original] symbol was inclusive, there is nothing wrong with having a further inclusive symbol,” Hikes added.